**NOTE: There are two separate passwords for Online Course work and Online Testing. Please make sure you are entering the correct username and passwords. All username and passwords are case sensitive. 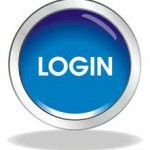 Step 1– Once you have located the correct username and password, click the login button. Step 1A – If an Invalid Login appears after you have entered in the User ID and Password listed above, please re-enter the User ID and Password again exactly as it is shown. If the problem persists you must email Email@KeyRealtySchool.com to obtain a new password. Step 2 – Read the directions that appear on the first page of the online course once you have signed in. Step 3 – Use the course to review the curriculum in better preparation for the course completion and the Nevada licensing exam. Q-Do I have to log onto the course a certain number of hours? If I don’t have to log a certain number of hours, how do I get my hours of certification? A- Key Realty School requires every student to take completion tests through proctored conditions. The passing of the completion exams provide the student with the number of hours necessary to receive the educational certificates. More information surrounding completion testing. Q-What if I don’t understand a section of the material? A-Online or Correspondence students are required to email their question to Email@KeyRealtySchool.com Classroom students may email their question, ask the admissions office or ask their instructor. Q-What happens if my internet connection or the server connection times out or fails during my course work? A-If the connection is lost, students must start at step one of the six step process noted above. Q-Do any of the practice tests that I take online or via book work count toward my overall grade? A-No. All practice testing is designed to aid a student in their understanding of the course work. A students sole goal is to educate themselves as much as possible using all course material to pass the completion exam with Key Realty School. The completion exam is designed to mimic the state of Nevada’s licensing exam, therefore the student can be confident with their ability to pass the licensing exam.